Kingsley High School senior Alex Parker signed his national letter of intent to play baseball at Henry Ford College in Dearborn, Michigan. 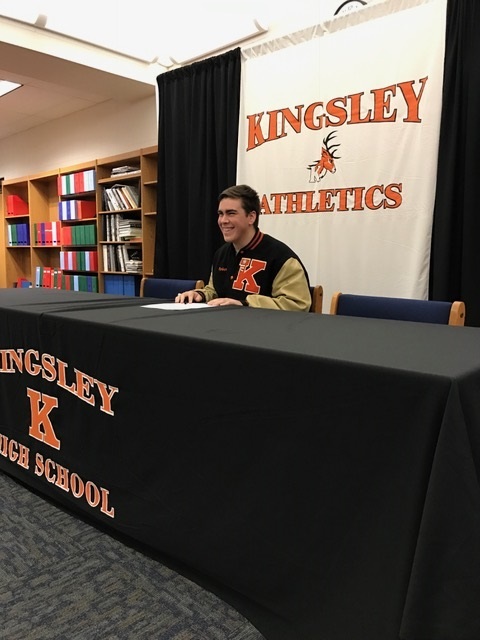 Alex is excited to continue his career at the college level. He believes Henry Ford is a perfect fit based on its size and academic offerings, and will major in telecommunications.